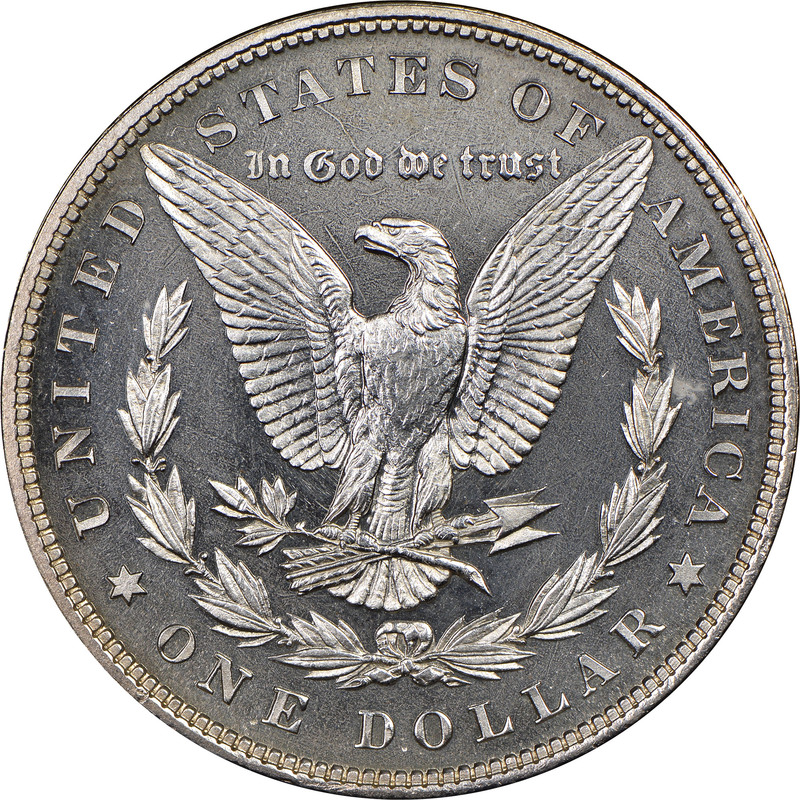 The Philadelphia Mint struck 1,355 proof Morgans in 1880, the most of the entire series. However, a large number of those pieces were abused or cleaned over the years. 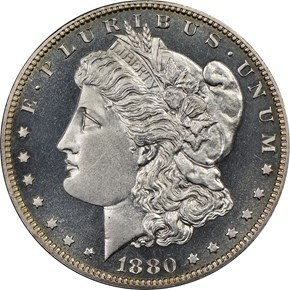 This has made the 1880 proof Morgan difficult to find in gem or higher. 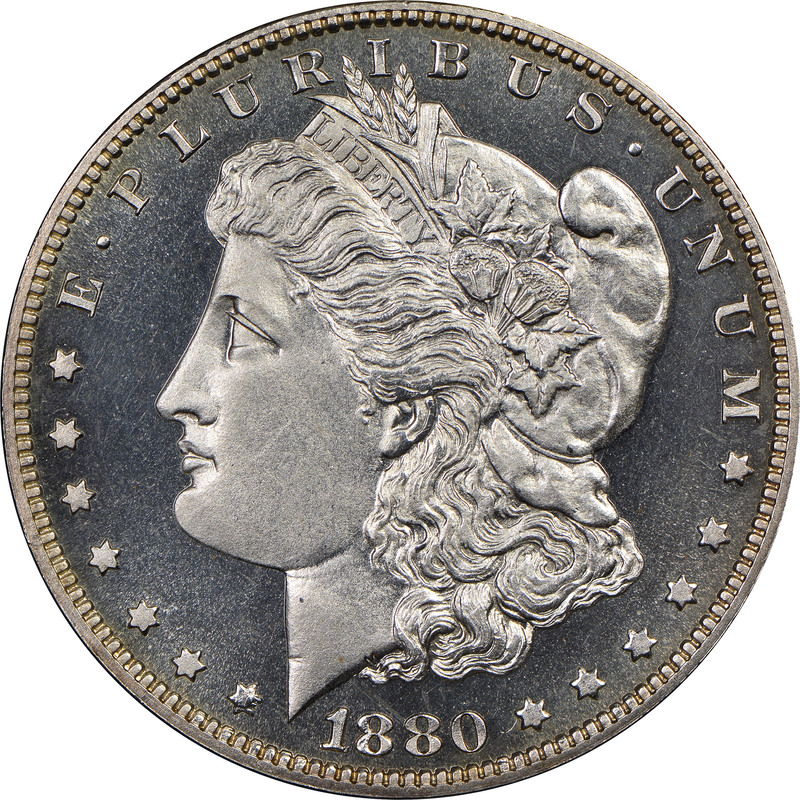 Additionally, these pieces were not produced with much much mint frost, which makes this issue hard to find in cameo. 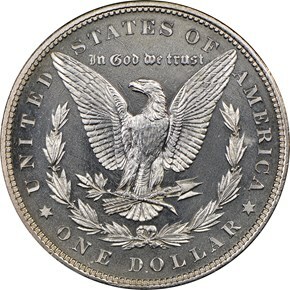 In fact, NGC has not graded any examples in ultra cameo.